Ergobaby Metro Compact City Pushchair changes the expectations for an ultra compact urban pushchair. Not only is it small enough to fit on public transport, in the boot of your car and in most overhead compartments on airlines but it is also comfortable for your baby with its ergonomic design. Why should I buy the Ergobaby Metro Compact City Pushchair? The Ergobaby Metro Compact Pushchair is an award winning pushchair, picking up the Gold award at the Made For Mums 2019 Awards for the best Compact Pushchair. It has an ergonomic design that features a soft and comfortable padded seat. It is the only pushchair on the market to be certified ‘back-friendly’ by experts at the AGR (Campaign for Healthier Backs). Ergobaby have designed the Metro Compact Pushchair with large back wheels and smooth suspension meaning a comfortable ride for you and your baby over any urban terrain. With the one-hand fold system, you can quickly and easily fold your Ergobaby Metro Compact City Pushchair. As it is only weights 6.3kg, it is lightweight and easily handled. An under seat basket and a hidden back seat pocket provide ample storage space while you are out and about with your baby and the seat fabric is removable and washable so little accidents aren't a concern either. The Ergobaby Metro Compact City Pushchair comes with a raincover for those wet winter months but also cool air mesh to help keep your baby cool in summer. 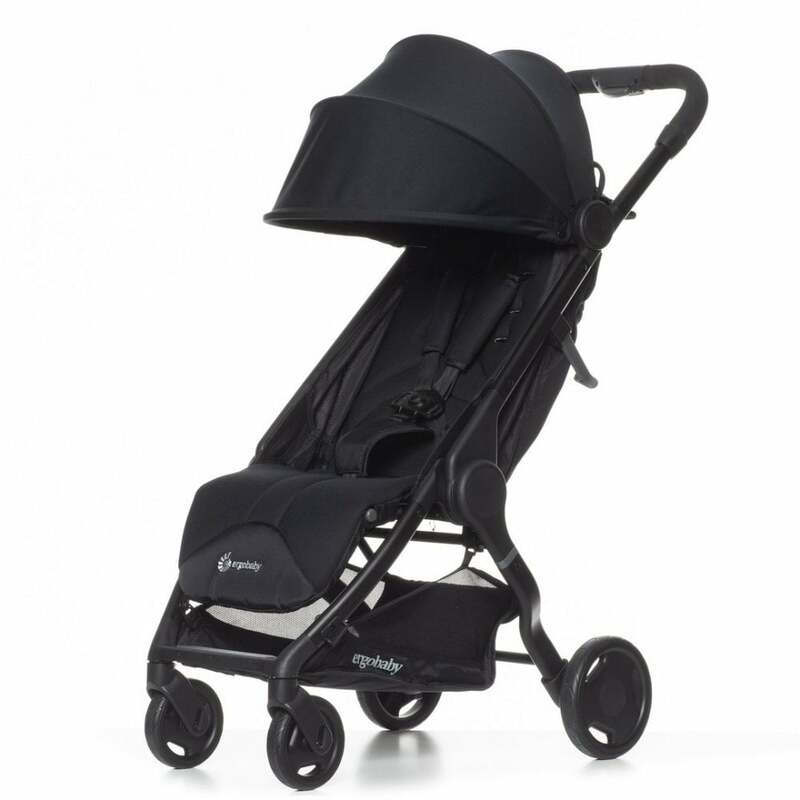 The UPS 50 sunhood adds another layer of summer protection to your Metro Compact City Pushchair. The Ergobaby Metro Compact City Pushchair is suitable from 6 months up to 18kg. However with the addition of an Ergobaby Metro Newborn Kit (sold separately), it can be used from birth. Do I get a warranty with the Ergobaby Metro Compact City Pushchair? Yes, Ergobaby offer a 2 year manufacturers warranty. This applies to UK Mainland only. What are the specifications of the Ergobaby Metro Compact City Pushchair?